Botox™ is a purified protein which when injected into a muscle leads to a temporary muscular relaxation. 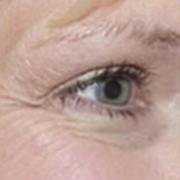 This produces an improvement in wrinkling on the face caused by the actions of the facial muscles. 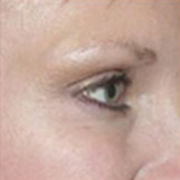 Botox™ has excellent effects on frown lines, forehead lines and crow’s feet. The treatment involves a small number of injections of the Botox™ solution into the muscle groups that are causing the wrinkling and are quite painless. The full effect on the muscle develops over the following 2-14 days. How long will Botox™ last? It is advisable to have the treatment three to four times over the course of the first year. The duration of effect may increase with repeat treatment. Botox™ is considered a very safe medication. It has been widely used in the cosmetic industry for decades. It is also used for many applications in medicine. There will be a slight discomfort from the needle entering the skin and a small chance of a bruise at the site of injection. There have been no reported long-term effects from the use of Botox™. What care do I need to take after treatment? You are requested to stay in the upright position for three to four hours after the injection and to attempt to use the muscles in the area of injection. You are asked not to massage the area to prevent diffusion of solution to adjoining muscles.